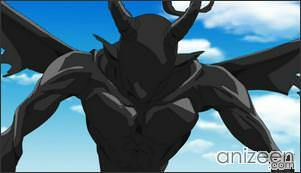 One night, Mahiro Yasaka is returning home, and suddenly a strange monster appears in the sky and starts chasing him. 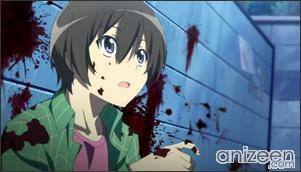 Mahiro begins to run and ends cornered, he can’t believe what’s happening to him and screams asking for help. To his surprise, a girl replies and attacks the flying monster. The next morning, Mahiro is at his home and this girl, Nyarlathotep –or just Nyaruko-, is eating breakfast without any worries. 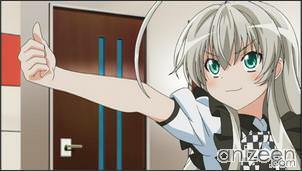 Nyaruko is an alien who can take any kind of form, and for some reason, she took the form of a silver haired girl. She is also an employee of the Planetary Defense Organization who has been sent to work in Earth. 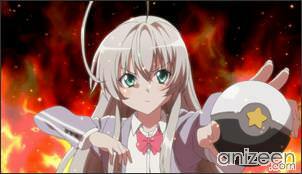 According to Nyaruko, a criminal organization is conducting a major transaction in Earth. They do drugs’ traffic, contraband and slave trade. This is exactly where Mashiro is involved, it seems that the monster of the past night was trying to capture him and make him an interplanetary slave. After this explanation, Mashiro is taken away from home to do some shopping with Nyaruko. 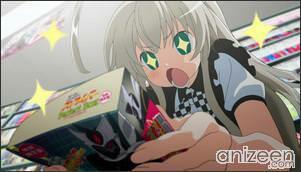 At a store, she begins to lose her control, it seems that anime, manga and games are a good commodity in the universe, and Nyaruko loves them as well. Because of this, Nyaruko confesses to Mashiro that she begged to be assigned to this job, but also, because under her research she found Mashiro to be exactly her type. With this first love affection in the air, Mashiro tells Nyaruko to take her job seriously and not mix her emotions with it. 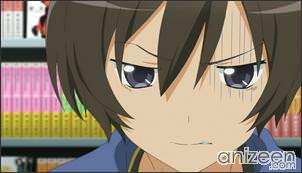 Then she agrees and says she’ll earn her paycheck and after she says that, she throws a big punch right next to Mashiro. 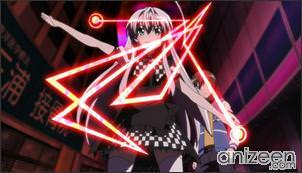 Another monster has come for him and Nyaruko wastes no time to defeat it. But it seems that she loses every little bit of delicacy when fighting and ends up covered in blood. This is the kind of life Mashiro will have all day long while Nyaruko has fun and tries to conquer his heart. 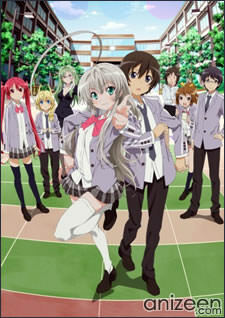 Nyarlathotep, also known as Nyaruko, is a Nyarlathotepan -alien from Nyarlathotep- who is sent by the Space Defence Agency to Earth to protect Mahiro Yasaka and ends up falling in love with him. She takes a human form of a girl with long, silver-colored hair. She is always friendly to Mahiro, eager to pursue him, but often shows abusive and brutal habits to any hostile aliens. She is also obsessed with otaku culture. 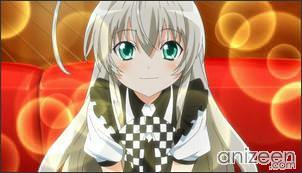 She takes the name Nyaruko Yasaka as Mahiro’s cousin when staying at Mahiro’s house and attending his school. Haiyore! Nyaruko-san (這いよれ! ニャル子さん) is a Japanese light novel series written by Manta Aisora and illustrated by Koin. It was inspired by H. P. Lovecraft’s Cthulhu mythos. Soft Bank Creative has published nine volumes under their GA Bunko imprint. A flash original video animation (OVA) by DLE titled Haiyoru! Nyaruani was published between October 2009 and March 2010. A flash anime television series by DLE, Haiyoru! 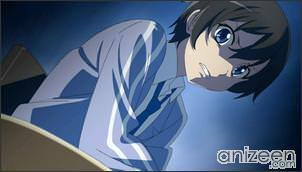 Nyaruani: Remember My Mr. Lovecraft, aired in Japan between December 2010 and February 2011. 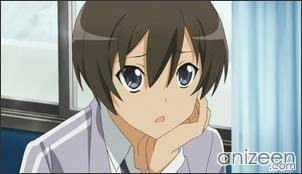 An anime adaptation by Xebec began airing in April 10, 2012.